Our Team - Expert Tax Solutions Inc.
With the help of my father-in-law, Robert Wagner C.P.A., I started Expert Tax in 1999 (incorporated 2003) while I was teaching math and science in Kenosha, WI. Ten years later we have gone from the cold basement of my home, into our second commercial location. The #1 goal of Expert Tax Solutions is still to provide unmatched personalized tax service and planning, in an environment that eases our clients personal stress and anxiety. I am proud to state that many of our clients are my best friends. As an investment professional I hold a series 7 and 63 license. Outside of the office I enjoy spending time with my wife and two children. We love to travel, see live music, camp, and hang out with our extended family and friends. We currently reside in the wonderful community of Raymond, WI. 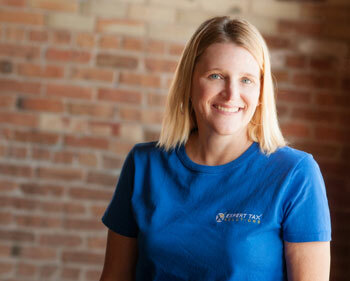 Nicole has managed our office since 2006 and is accountable for making sure our office runs efficiently. She prides herself in working closely with clients and building long the term relationships that set us apart from our competition. Nicole works with a number of monthly client payroll and accounting assignments and brings a caring and dedicated attitude to each and every project. Her organizational skills and efficiency are remarkable! 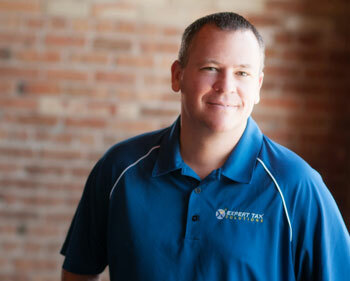 Nick is an Enrolled Agent and Senior Tax Preparer here at Expert Tax Solutions, and is therefore able to represent our clients in front of the IRS. Nick obtained his Bachelors of Business Administration with a major in marketing from the University of Wisconsin – Madison. 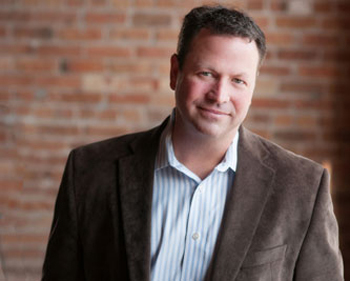 After college, he worked in Illinois with Millward Brown, one of the leaders in marketing research. In that position, Nick worked with Fortune 500 companies (Kraft, General Motors, General Mills to name a few) evaluating their advertising and brand equity. After 12 years in marketing research, he came to work for Expert Tax. Having this level of business experience and being one of the great friends Russ met in college at UW, the value Nick brought to Expert Tax was obvious. He has been a critical cog in this machine ever since, and we are proud to have him. Nick enjoys spending time with his wife Becky, and his daughter Joslyn, and son Parker. Outside of work and family, his guilty pleasure is football, and here, that means the Wisconsin Badgers and of course, the Green Bay Packers. Todd is an Enrolled Agent, and has been with Expert Tax Solutions as Business Development and Marketing Manager since 2012. As Expert Tax Solutions grows and continues to thrive heading into the tax season, Todd will again be preparing personal, small business and corporate tax returns for his clients. 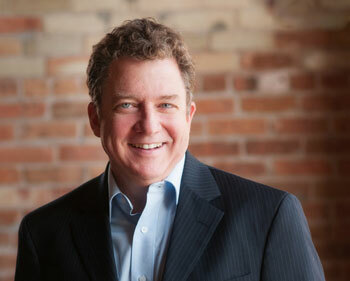 Todd is always taking new clients and loves to provide advice on challenging tax issues. Call the office for an appointment! Todd is married, a father of three great kids and was born and raised in Kenosha. He has a Bachelor of Science in Psychology from University of Wisconsin-Parkside. 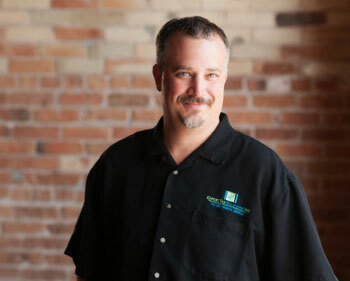 Kevin joined Expert Tax Solutions in 2010 after having spent 20+ years as the head accountant in an electrical contracting company in Illinois. He holds the title of Enrolled Agent, and is able to represent our clients in front of the IRS. As Expert Tax grew, Russ knew it was essential to have dedicated “tax guys” year-round, to provide high level competence that our competition did not. Kevin is our guy. Kevin also maintains a small private tax practice. Kevin is a native of Kenosha, has a BA in Accounting from UW-Parkside. 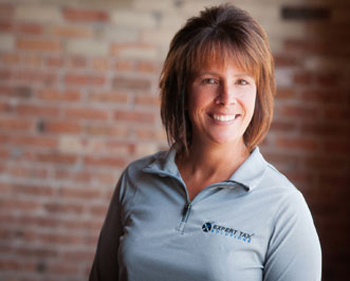 Tracy came on-board with Expert Tax Solutions as a part of the acquisition on JL Accounting in 2013. Tracy is firmly rooted in the Racine community and with 8+ years experience running the daily operations at JL, there were myriad reasons to welcome her aboard, and she has been an invaluable addition to the administrative staff in the front office. Tracy’s kind-hearted nature makes her a calming influence on even the most stressful of tax situations. As our clients can attest, tax season can push the limits of anyone’s patience, but Tracy and the Expert Tax Admin staff do everything they can to create a refreshing alternative to the typical stuffy accounting firm. Debbie has 15 years of tax preparation experience and is a specialist in OTR/Truck driver income taxes. She is a lifelong resident of Suamico. Nancy has 35 years of tax preparation experience and specializes in small business tax prep. Nancy is a Green Bay native. Suzanne has 12 years of experience managing a tax office and makes sure the new Expert Tax office has everything it needs. Linda has B.S. in managerial accounting and has 23 years of experience, including M&I Bank and C&S Accounting & Tax. She orignally hales from the U.P.